Learn more about the leadership team that makes SyncShow one of the fastest-growing digital marketing agencies and best workplaces nationwide. 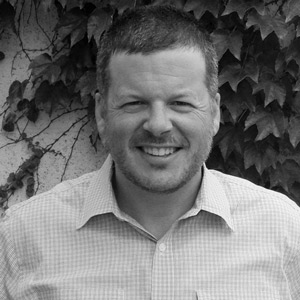 Chris Peer is the founder and owner of SyncShow and serves as its president and CEO. Chris is responsible for the strategic direction of the organization, ensuring all products and services meet or exceed high standards of quality, integrity and value. Chris is also responsible for fostering an organizational culture that makes SyncShow one of Northeast Ohio’s best places to work and grow your career. Chris has more than 20 years of experience in B2B digital marketing strategy, sales process and customer communications. Prior to starting SyncShow, Chris worked for other independent design studios and corporations, including Ernst & Young and American Greetings. Now with more than 20 employees, Chris has grown SyncShow into one of Cleveland’s largest digital marketing agencies that works with clients to develop results-based inbound marketing strategies to drive brand awareness and sales growth. As Executive Vice President of Sales and Marketing, Mike is responsible for all strategic growth initiatives at SyncShow. Prior to joining SyncShow, Mike was the Senior Vice President of Sales at OMNIA Partners, the largest GPO (Group Purchasing Organization) for the public and private sectors in North America. In this role, Mike was responsible for leading all growth initiatives for the middle market and oversaw the sales team accountable for growing existing business, market expansion, and channel development. 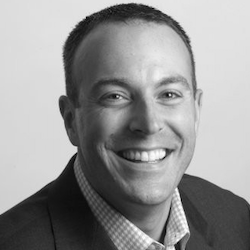 Prior to OMNIA Partners, Mike spent 16 years with Prime Advantage, a leading GPO for middle market manufacturers. He also served as a Regional Sales Manager for Welded Tube Company of America. Mike spent the early part of his career in sales and management with the financial services division of Bank One. Mike has been recognized by Supply & Demand Chain Executive Magazine in 2012, 2013, 2014, 2015, 2016, and 2017 as a Pro to Know within the industry, which is a designation for top performers who have made significant impacts within their companies and the supply chain industry. He earned his Master’s degree in Business Administration from the University of Notre Dame and his Bachelor’s degree from Grand Valley State University. Nadine Nocero-Tye is the director of client services at SyncShow. After six years with the firm, it is her goal to process and systemize the "SyncShow Way" for client experience and delivery. 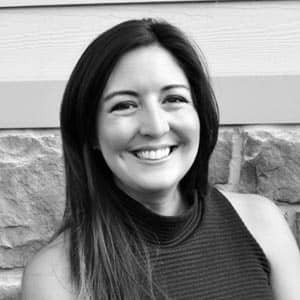 Nadine has leveraged her experience in brand building, storytelling and digital strategy to provide clients with custom solutions that help reach their business objectives. She is also responsible for training and advising the team of account managers that work with our clients day in and day out. Nadine has over 10 years of experience in both the B2C and B2B worlds of digital marketing. She’s worked with manufacturers and CPG companies on the Fortune 500 list, both nationally and internationally. Previous to settling back into her Cleveland roots, Nadine worked for firms in Chicago and abroad in Seoul, South Korea—honing her relationship and communication skills across different industries and cultures. 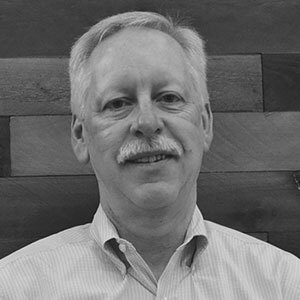 Dave has over 35 years of financial advisory experience in the manufacturing, construction, real estate development and nonprofit industries. He has extensive experience in strategic planning, IT management, human resources, working capital and cash flow improvement, bank financing, acquisitions and cost accounting. He has served as CFO and treasurer of companies in plastics manufacturing, electronics manufacturing and distribution, and has consulted for lighting manufacturers, metal stamping and forging businesses and holding companies. He also has significant experience as a board member on several local, regional and national nonprofit boards. Jane has nearly 25 years of experience working primarily in the consulting industry as a market development and communications professional. Having spent several years managing and mentoring people and participating in corporate culture change management initiatives, Jane developed a passion for helping design and build high-performance cultures and great places to work. 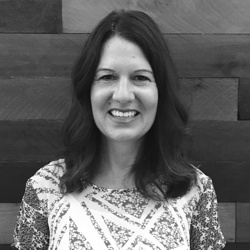 In Jane’s role as Director of People & Culture, she is responsible for overseeing and executing on plans that help ensure SyncShow remains a great place to work. Prior to joining SyncShow, Jane spent 15 years working at KPMG as an associate director in their market development organization, advising senior leadership on marketing and branding strategy and tactics. Jane started her career working at Ernst & Young as an associate in their sales and marketing organization and held various roles until she joined KPMG in 2003. Have questions? See how we can help.